Can I have a nose job without going to surgery? 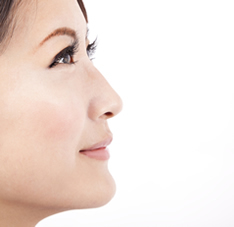 What is injectable rhinoplasty? I have a small nasal bridge do I need surgery to fix it? These are common questions asked in Dr. Kolstad’s San Diego plastic surgery office. The good news is that not everybody looking to enhance the appearance of their nose needs surgery. If you are happy with the shape of the tip of your nose and pleased with the size of the nostrils, you may be a candidate for nonsurgical rhinoplasty.